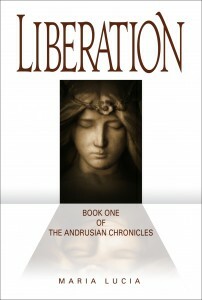 Liberation is a powerful paranormal fantasy focused on the struggle in spirit over Earth and the USA. Amora Madre is content in the Smokey Mountains pursuing her teaching of love, things of the spirit, and metaphysics. Her childhood invisible playmates, Casey and Nia, are always by her side. But, when soul mate Gabriel Ephraim enters her life, she is drawn into the heart of a terrible encounter with the spirit world in the skies over Washington D.C. Catapulted into service for the Intergalactic Supernatural Intelligence Agency, ISIA, the kindred lovers soon discover the existence of an invisible wickedness over the city, its galactic origins, and its evil designs for national and world events. As part of an Andrusian galactic strike force, assembled to dismantle the malevolent legion’s brutal matrix, Amora and Gabriel, seasoned and accomplished, embark on a dangerous adventure filled with Onaweyans, Scorpillians, historical figures, and a confrontation with the dark supernatural syndicate over the fate of the United States and the earth. With journeys into galactic and dimensional worlds, interactions with fantastic characters and creatures, and revelation of the current struggle between the spiritual forces of good and evil, LIBERATION draws the reader into a world where the spiritual dimensions and reality converge.